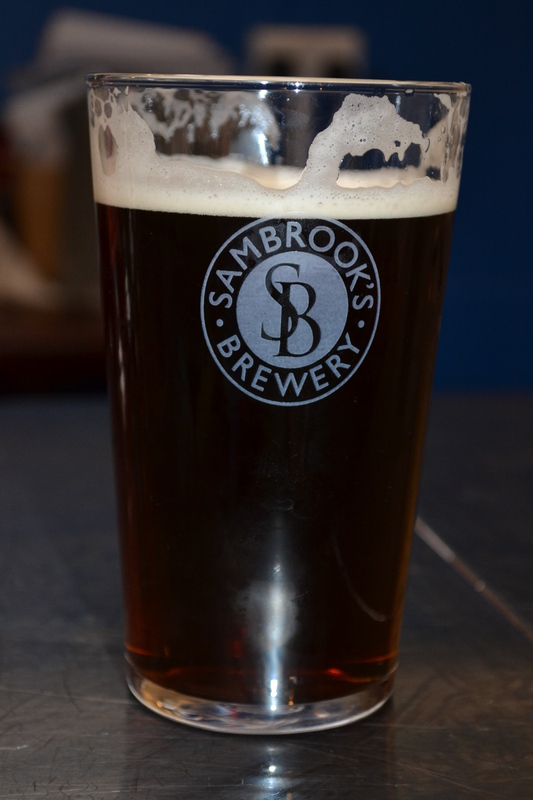 Down by the river – an afternoon at Sambrook’s Brewery (part two) | It Comes In Pints? Having exhausted all the options at the bar, we follow Duncan down into the brewery itself, situated in two large units a stone’s throw from the River Thames. 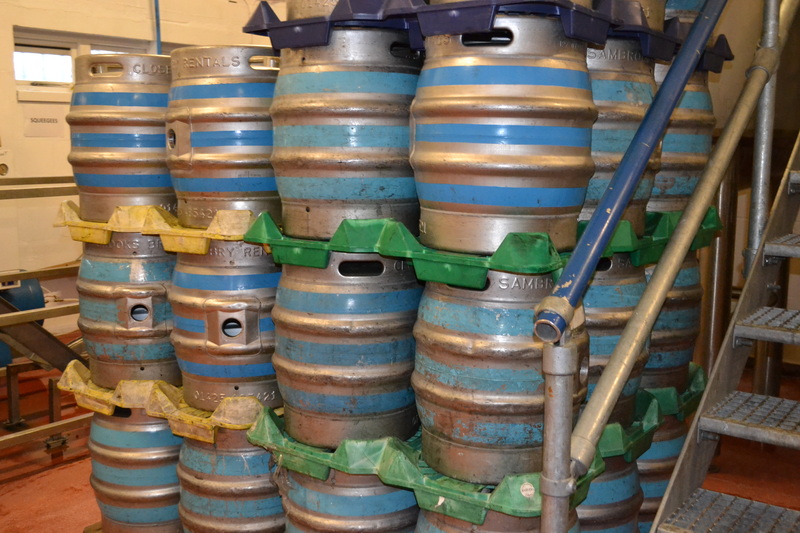 Sambrooks currently produces around 50,000 pints of beer a week, making them the fourth largest brewery in London after Fullers, Meantime and Camden Town. It is astonishing what they have achieved when you compare their original investment to other brewers, and talking to Duncan, it is easy to see why this is. Every step in Sambrooks’ development seems to have been planned and thought through meticulously, and Duncan obviously keeps a close eye on the competition. Of another London brewer who invested substantially more for the same output, he laments: “What they did was just ludicrous. I dream of what we could have done with £2.5m”. Of a certain anarchic brewer who have recently gone on a share sale drive, he notes: “they raised £2m only two years ago, and they’ve spent it all, with no return. They’re not making any money. They’ve invested all this capital expenditure but it’s not generating. They’re practically giving their beer away. That’s the accountant in me. I was really shocked.” By comparison, his ambitions have been more realistic: “The first year was a tricky year for us. It was all about cash-flow management. We had plans to market the brewery and employ more people earlier, but we couldn’t. The first year was very much about damage limitation.” This cautious approach seems to have paid off. Their next investment, Duncan says, will be to install silos so that the malt can be delivered straight from the truck, saving time unloading nearly a ton at a time in individual sacks. So where does this leave women, ICIP wonders, given that the craft scene is usually seen as being more women-friendly? Don’t breweries, especially those which seem to be as business-savvy as Sambrooks, see women as an untapped market? Does he think the traditional image Sambrooks has strived for alienates women drinkers put off by the CAMRA old-boys’ club image? “I don’t actively target women, but I don’t discourage women. I hope the branding is relatively general and neutral. It’s about the beer, trying to make it approachable for people so they say it looks nice, care has been taken with the pump clips, you recognise the brand.” ICIP asks what he thinks of the suggestion that the good old-fashioned pint glass puts women off. “There’s a lot of evidence that shows it changes how you drink. A glass with a big open end will be good for a beer majoring on aroma whereas a flute will be better for flavour. So actually it does change your perception of the beer. “ But Duncan demonstrates an in-depth understanding of the relationship between brewer, consumer and publican, and the issues this raises: “The challenge you’ve got with glassware is pubs. There’s a perception of a full pint. And the problem with that is it limits your glassware.” It seems that there is only so much a brewer can do to attract women to its product. It’s this honest simplicity which we loved about Sambrooks, and we have a great deal of respect for what they have achieved in just five years. A traditional brewer with a modern twist, very aware of the market in which it resides and committed to producing excellent products. And who knows – if things don’t go too well in Tesco, (which seems unlikely), it sounds like they could have a pretty good following in Denmark already. 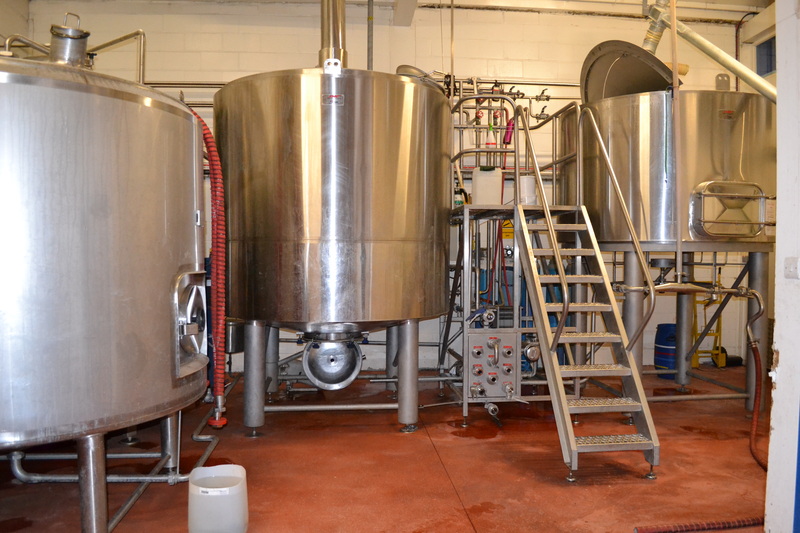 This entry was posted in Brewery Visits/Tours and tagged brewery tours, Sambrooks on 05/10/2013 by icipints. Pingback: Down by the river – an afternoon at Sambrook’s Brewery (part one) | It Comes In Pints?